and a large addressable market, we want to hear from you. 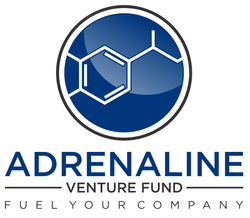 Adrenaline Venture Fund (AVF) is a Delaware Limited Liability Company (LLC) designed to enable private accredited investors to build a portfolio of venture capital investments in promising seed through early stage commercial ventures. The Fund’s structure and operating procedures allow the Fund’s general partners to work on behalf of private investors to gain substantial advantages over traditional individual “venture” investing. Membership is by invitation only and is extended to individuals who share our vision and will contribute to our process. We encourage both entrepreneurs and investors to participate with us by submitting your plan or inquiring about membership.